Some enjoy a refreshing swim, appreciating the natural beauty water has. There are unfortunately others, who pollute the very same water. They ignore the fact that they are ruining wildlife and one of Nature’s most amazing gifts. They pour oil and other junk in rivers and lakes carelessly. Then of course there are those, who would do anything to save rivers. Even if it means giving them a ‘human status’. 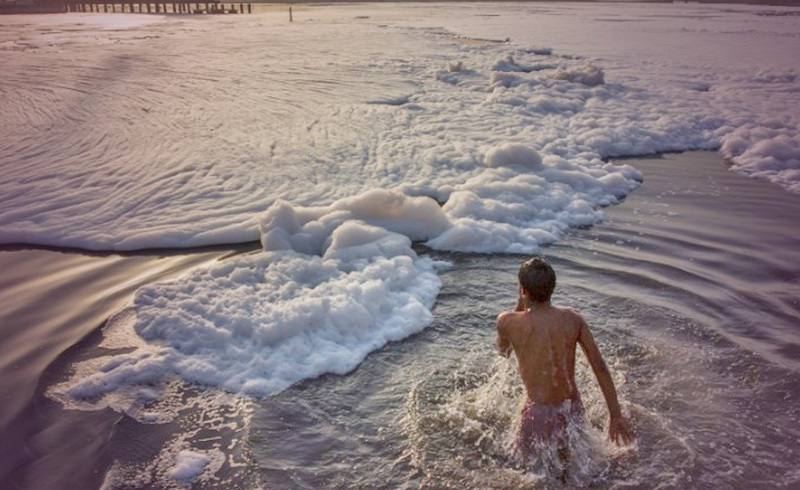 In India, the fight against water pollution has been going on for decades. Clean drinking water is essential for people’s survival, and yet is a rare treasure. Rivers for Hindus mean way more than just a means of survival. For them, rivers are sacred, and are personified as goddesses, giving people ‘physical and spiritual sustenance’. These rivers are in danger. Unless the fight gains a boost somehow. Alas, on Monday, a court in Uttarakhand in Himalaya declared the Yamuna and Ganges rivers ‘living entities’. According to the court, “extraordinary measures to be taken to preserve and conserve the Rivers Ganga and Yamuna”. However, some argue that this might not have been the best decision. A simple change of rights might not be enough ensure the rivers’ future. Governments can’t clean the rivers themselves. They probably won’t be able to stop pollution entirely. Unless they assign ‘legal guardians’ to the rivers, just like New Zealand did a week before. Still, people’s help is needed to accomplish the ultimate goal of these ‘rights’. The World as we know it is definitely changing. People are more open-minded than before. Hindus have believed for centuries that rivers are goddesses, so this shouldn’t come as a surprise. Will it be enough to save the rivers? Let’s consult the cards. This is a time of learning, of figuring out what works and what doesn’t. We are at the beginning of this journey, and we have a lot to experience. Only time will tell whether we become ‘masters’ and save the rivers this way. Eight of Wands: A focused energy is surrounding this card, one that brings swift change. The Government certainly think their decision will bring rapid development. It just might do that. This card suggests that although the decision was made, its consequences weren’t considered. People took a leap of faith, unaware of any dangers along the way. Coming back to the Eight of Pentacles, there is still a lot to learn.